AMSB P R ESIDENT Dearest IFMSA Friends, On the verge of our 35th National General Assembly, we have decided to organize a humble pre-NGA in the form of a TNT, and we are more than thrilled to invite you to join us and participate in it. We in AMSB realize the importance of having an arsenal of trainers, which is why we have decided to organize this event, and make it as accessible to participants as possible because we believe that everyone should have a chance to develop their skills and become a better version of themselves. 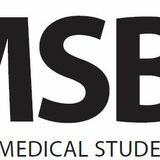 AMSB or the Association of Medical Students in Bulgaria is an independent, nonpolitical, non-governmental organization of medical students in Bulgaria. The Association was established on 03.03.1990 and is a full member of the IFMSA. And we are inviting you to Plovdiv, one of the twin European Capital cities of culture for the year 2019.Â With the coming of spring and the beginning of the season of our beloved Rose, we want to welcome a few more flowers in the face of you, our lovely participants, who will from this TNT blossom into incredible trainers.Â Insert message from Daniel here! Love of medicine brings us together! AMSB stands for Association of Medical Students in Bulgaria. We were founded back in 1990 and we are proud of all we have achieved in the past 29 years! Our motto describes us best: Love of medicine brings us together! We are commited to bringing positive change into our community. Capacity Building is the backbone of everything we do - both on a local and on a national and international level. That is why we are so thrilled to be organizing this TNT! We are looking forward to welcoming you in Plovdiv. Come grow your backbone with us! PLOVDIV: EUROPEAN CAPITAL OF CULTURE Come and see one of Bulgaria's most beautiful cities! T H E VENUE You will be staying at the student dormitories of the Medical University of Plovdiv. Participants will be sharing rooms - you can opt for female or male-only room if you prefer. BOARD INCLUDED The registration fee includes three meals every day - four breakfasts, lunches, and dinners during the days of the TNT. If you have any food allergies or dietary requirements, please let us know when you are filling out the form! T H E TRAINING S P A C E The sessions will take place in the Youth Centre of Plovdiv (Младежки Дом). Trainers will be provided with enough space and materials to comfortably facilitate the sessions. The OC is happy to assist and answer any questions that might come up - please don't hestate to contact us at amsb-bulgaria@ifmsa.org. COME BE OUR AWESOME TRAINER Apply to facilitate the TNT by March 22nd!